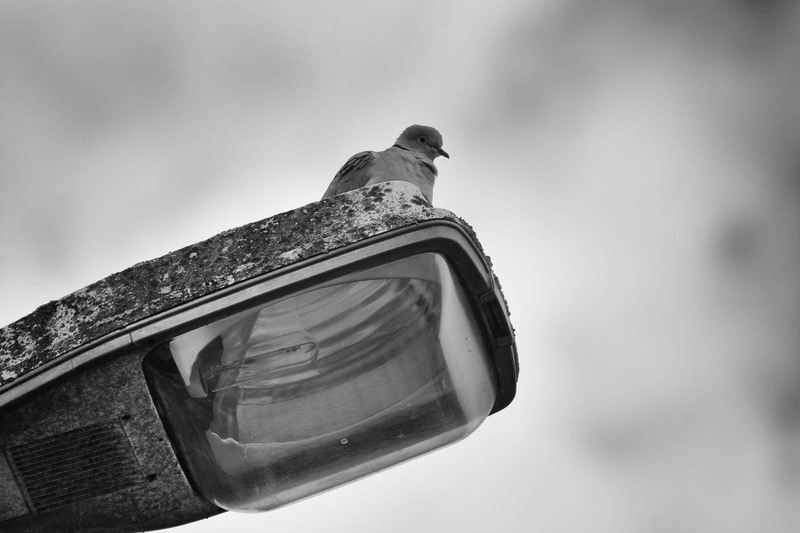 Above is a shot that I took in 2016 when I saw this pigeon on a street light. I never really decided to upload it because I didn’t really like it due to some issues. But just out of boredom, I edited some of my older images today and decided to try out black and white. This did really hide some of the issues I saw with the image, for the example the fact that it had very boring colours. But as I said often on my blog, and as many other photographers featured out for themselves as well, black and white is always an option and it can really hide some issues. Not only that, it does also look interesting in many cases. When colours are boring for example, or when the whole presence of the image looks flat and unappealing, black and white can add the needed contrast. Black and white hides color (especially bad color! ), but it also brings out shape and form. Anything angular and textural works well in black & white. And you can really play with the contrast. Yes, good point! It’s also about shapes that can profit from the contrast. I noticed this too with other photos.